What if you could control different aspects of your home, with just a touch of a button? This is the core of home automation, and this is what is meant when you hear the term “smart home”. Home automation allows you to centralize the control of multiple home systems, from music, to entertainment systems, to climate, shading, lighting, security and so much more. 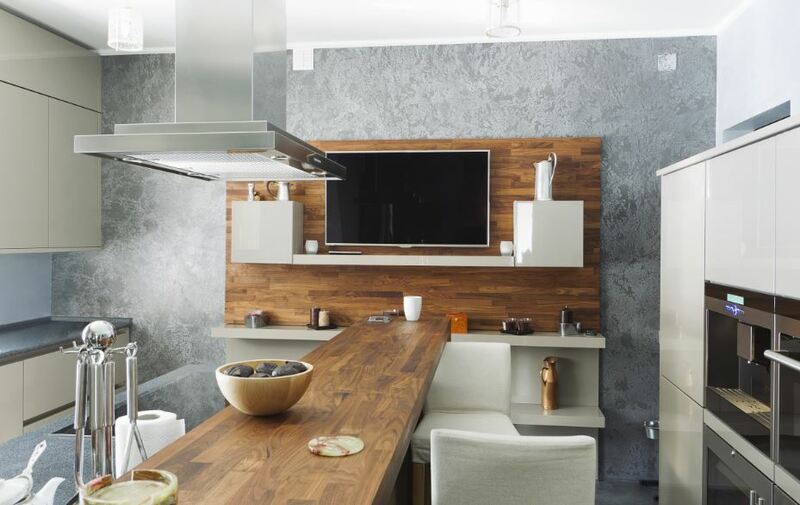 Properly implemented, your home automation system will help you save time, reduce clutter, entertain guests easily, increase safety and cut down on energy usage. With many smart home products on the market, it can be hard to know where to start. Working with a professional home automation expert is the best way to integrate the technology into your home, make sure it’s compatible and reliable, and ensure the controls for your newly automated home look as if they were there from the start! Coordinate the technology in your home into a complete experience customized for your lifestyle, and programmed to the needs of your family. Dim the lights, stream your favorite music, lock the doors, adjust the thermostat, and start a movie, all from the comfort of your chair. No more running around from room to room; your systems are now centralized, and the settings for your entire home can be accessed from your mobile device of choice. It’s truly a smarter living experience. In today’s world, we’re more connected, from home to work to out and about. Along with your newly automated home, often your home network will be upgraded too, as it serves as the backbone of your smart home system. Make sure you can count on the ability of your home to handle heavy WiFi usage at the same time as the entertainment system starts up, and at the same time as your house resets lighting settings for the evening. With a solid, reliable network powering your automated home, it’s possible. If your home is being renovated or is under construction, it’s the perfect time to begin a home automation project. Allow our team of professionals to custom-wire your home, seamlessly and out-of-sight. Whether you’re beginning a new project or retrofitting a home you’ve lived in for years, talk to us today about how you can take advantage of smart home technology to make your life easier, simpler and more convenient.